-Physical Appearance: Average human, although they are very tall. The average height for males is 1,95 metres while female have an average of 1,80 metres. There is also a distinctive difference between the peoples appearance and their regions. A Seaner is slightly more tanned than an average Overius. The Brabandish are the tallest, and have average heights of 2,05 metres. There are distinctive differences, however: The Overius have four fingers instead of five, for reasons unknown. Also, the Overius' seem to have higher phosphors-rates than humans. This is due to the fact that Overius' need an protective shell around their babies when they are in the Uterus, because inside there's a toxic agent which prevents any non-Overius mating and breeding. The average pregnancy takes up to four Earth months, much faster than humans. In that time the babies grows exponentially fast compared to its weight. When babies are born, they are already over 75 centimetres tall. A final difference, is the fact that Overius have up to three sets of molar teeth, instead of the human two. It is unknown why this is, and what advantage it gives. -History:The early history of the Overians remains largely unknown. The first to develop states were the Seaners, who developed the first currency, and also they were learned in mathematics, physics and even early chemistry. The first school was established nearly 4000 years ago: The ' Academie van Vlisshing'. It still remains the oldest school on the planet.The first astronomer known was Lord Janssen. The first telescope was built nearly 1600 years ago by Han Lipperseij in Midburgh. The Brabandish and Holteners became the second and third to form states in the form of kingdoms, wereas the Fryskans and Geldrish long remained a tribal land. The Limbers remained isolated behind the Valish mountains, until the Brabandish uncovered the know known 'Piekpas' and established contact for the first time.The Overius people were a violent race before their unification. The Seaners Unification Conflicts, combined with the later Geldrish Occupation of Limbers, are still fresh memory for the Overius', and the Braband Succession Wars merely 120 years ago are a reminder of the violence that the Overius people have done. Therefore, all weapons are forbidden for the people, and even the Police departments are only permitted to use stun guns and batons, not guns. The Overius people crime rate has thus reduced to near zero percent. The Public Health is greatly looked upon, with general healthcare in place and hospitals open for anyone. All people have an obligation for a health insurance, and so there is almost no deductibility. Social Security is a huge expense, with state pensions, state benefits and many allowances all in place. There is a department who looks into all these systems to look that there is no fraud. Last of all, the Overius have only recently begun their space adventures, with the Cornelius Program being the first to bring in any man-made objects above the planet. -Psi Level: P1, and there is no indication it will increase. -History: The Republic is ruled by a Lord Protector, who is chosen every 5 years and sits for a maximum of three election periods. The Republic Senate is the de facto legislative power, and votes on laws from all branches. It is made up of a total of 403 senators, one from each "Gemeente". They are directly chosen by the Overius inhabitants, who vote from a list of in total 35 senator candidates in every "Gemeente". Apart from that, the "Raad van State" advices the Senate and Lord Protector, and checks if there are any infringements on the constitution. +Military Branches: Republic Army, Republic Navy, Republic Air Force. +Currency: Overius Guilder, with several nicknames for coins, namely: a Stuiver" which is worth 5 cents, a "Dubbeltje" which is worth 10 cents, a "Kwartje"which is worth 25 cents, a "Halfje" which is worth 50 cents, and a "Daalder" which is worth 2,50 Guilder. After that there are a "Vijfje" which is worth 5 Guilder, a "Tientje", a "Twintigje" and a "Vijftigje". Well you get the point. -Weather Patterns: Rain, and snow in Fryska. But mostly temperate. 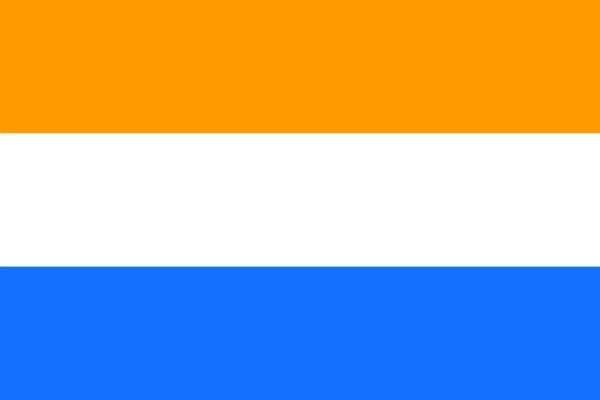 +Notable Landmarks: Republic Senate in Amrodam, Harbour of Den Harg, University of Endhof, House of Kings in Den Brendan. +Other: There are seven provinces, namely: Braband, Limbers, Seaners, Geldre, Fryska, South Holt and North Holt. There are also two City-Provinces, Utreg and Groning. +Other: Belgiae looks promising, and perhaps other beings might live there. Saba and Arub are actually twin planets, orbiting around each other every 603 days. ...wait, is this for SH? I'm sorry, but what is SH? 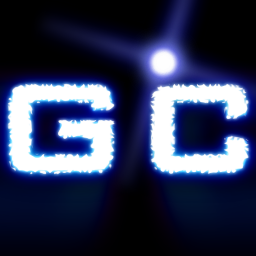 An entirely different and entirely dead sci fi RP that served as "GC Lite" for a while. How did you get the sheets for it if you don't know what it is? Theres a distinct difference between SH's sheets and GC's. Oh, I'm sorry. I just copy-paste those sheets from a OOC thread that I found. Anyway, this is a free RolePlay, with my own ideas getting pulled up for writing. OOC for your own RP? Ah alright. Was a bit confused by your selection of sheets. Normally people here add the sheets and rules to the bottom of their original post for an RP's start. Nearly 80 years ago, legendary engineer Frans van Heugten laid down the first ever plans for a rocket meant for interstellar travel. He wrote it down, along with many theories of how to achieve space travel, in his famous book ' Theorieën der raketbouw: methodes voor Ruimtereizen'. Many of his assistants believed in his ideas, however the government at that point ridiculised his ideas. It was not until Yoerik van Heugten, Frans' grandson, built a working rocket 16 years ago that the theories were correct. Much of Frans' design, along with improvements provided by Yoerik, were implemented into the final design. And so, after 80 years, Frans' and Yoerik's dreams have come true: the Cornelius program. One of the assistants of Yoerik van Heugten was Willem Janssen, the current flight commander for the NRA. During his work with Yoerik, he was often regarded as the " right-hand man", for he was often the one who would assist Yoerik with his rocket building. Therefore, Yoerik often spoke highly of him. Another assistant was Dyon Kriesels, a war veteran who got on and was one of the first to test many projects, such as the first ever "rocket car", and was instrumental for the further progress of the rocket prototypes. These three people: Yoerik, Willem and Dyon are often referred to as the 'rocket pioneers'. It was a shame that an accident with a test caused a fire in one of the capsules of an prototypes two-manned rocket and killed of Yoerik and Dyon merely 6 years ago. Since then, no more victims have fallen luckily. But what a shame: a tragic death to two young space pioneers, one the writer, the other the tester. Their deaths will be remembered for a long time. Not only for their significance, but also as a symbol to always pay attention. The Cornelius I will become the first ever Overian object in space. After that, more ambitious goals will be taken: sending organisms into space, beginning with dogs and apes. What will happen is unknown, but as Frans van Heugten said: " Rule #1: to go in space, you need to take risks." The first satellite, Cornelius I, will be launched on top of a Echo I rocket, the first in a series of rockets each capable of delivering bigger and bigger payloads. Echo II will be able to sustain a one manned capsule, be it crude and thus only sustainable for dogs. A Echo III is in development to make the first ever man-made flight. Further tests will be performed after a successful launch of Cornelius 2.